Impact of environmental stress on occupation well-being of women engaged in police service requires thorough understanding, which is deemed obvious to inspire them to join police organization The objective of this study was to assess environmental stress at the workplace and consequences on occupational well-being of policewomen in two types of regions – Guwahati, (a Metro city of Assam, also its capital city) and Hangzhou, (China). The survey was conducted on 43 policewomen from All Women Police Station (AWPS) of Guwahati and 31 policewomen from Hangzhou city of China. The questionnaire was designed using standard procedures (including analysis of reliability and validity by Cronbach’s alpha) to analyses job stress and occupational well-being. 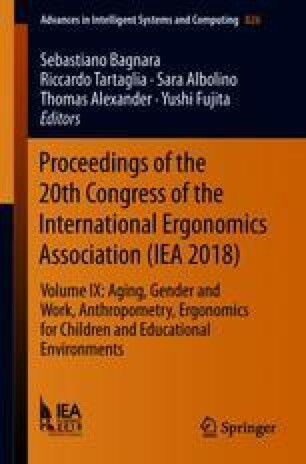 This piece of research attempted to elucidate the real-time scenario and the need of corrective ergonomic design interventions, which when implemented, might reduce the workplace stress, thus making Indian police organizations more women-friendly.